Let’s face it, oyinbos: Life as an expat in Nigeria can be full of uncertainty. With the news of bombings and unrest unfortunately on the rise, and a lack of reliable, up-to-date information for foreigners, much of the expat experience here can consist of sorting fact from fiction and prudence from paranoia, all while trying to see and understand a complex and dynamic country. Yet life as an expat in Nigeria, and in Lagos especially, need not be that way. 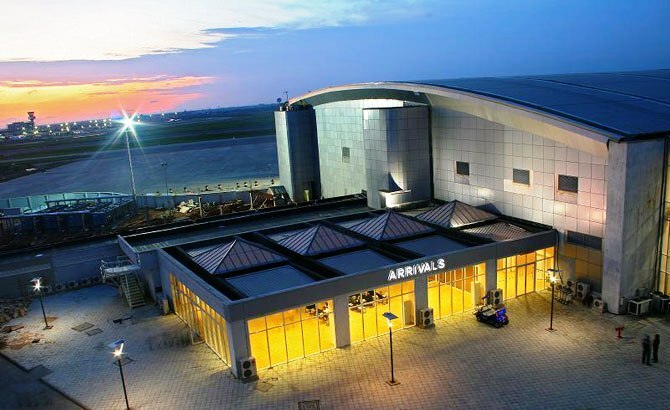 One does not need to look far for unexpected surprises and fun in Nigeria – even on the islands of Lagos. Local Culture is Alive and Well: In many places around the world, globalization has relegated the more colorful elements of local culture to dusty back alleys and inaccessible mountain villages. This is definitely not the case in Nigeria.In Nigeria, a vibrant array of local traditions and cultural practices are thriving. Celebrations and cultural events abound, from traditional weddings, coronations of local rulers and naming ceremonies for babies, to larger festivals like the Lagos Carnival, the Eyo Festival, the Durbars of Kano and the Calabar Christmas festival. 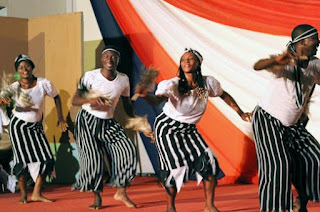 Nigerians have a proud sense of culture and identity, and are generally happy to share this with foreigners who show interest. Even a conversation with a Nigerian about the meaning of their name or which tribal language they speak can be a fascinating insight into Nigerian culture. Good Music: For many expats, one of the disappointments about living abroad is missing out on the popular music that dominates the airwaves at home. In Nigeria, however, that’s not a concern. 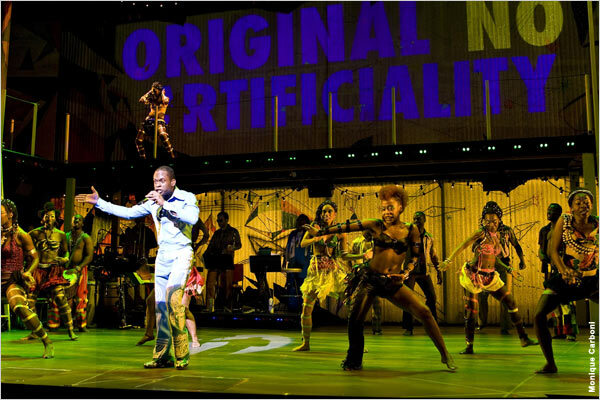 Nigerian music has long been pioneering – from the AfroBeat saxophone and trumpet melodies of Fela Kuti to the contemporary Nigerian hip-hop of artists like P-Square and DBanj, Nigerian artists combine Western styles with African beats and language to create innovative and enticing rhythms that will have you dancing. Beyond that, Nigerian DJs tend to be well-attuned to international hits, and TV channels show an excellent selection of local and international music videos (like the VH1 and MTV of days of old). As some Nigerian artists are gaining popularity on the global stage, you might find yourself even ahead of the musical curve after a stay in Nigeria. Fabric and Fashion: From bright headcoverings, to beaded robes and crowns worn by brides and traditional rulers, to the vibrant prints and colors of ankara fabric, Nigerian fabrics and fashion are unique. Luckily, tailors are also very affordable, meaning that anyone can get a custom-made dress in a style and color of their choice. Ankara fabric, especially, with its bright, often-geometric prints, is gaining popularity outside of Nigeria too, as even Gwen Stefani has worn several outfits featuring ankara. Those who are not up for the crashing sensory overload of Balogun Market can work with tailors who bring fabrics to homes. Lagos’ high-end boutiques contain a lovely selection of fusion pieces – African fabrics crafted in more Western styles – go there for inspiration, then work with a tailor to custom-make your creation! Art: :Like music, the arts scene is very much alive and also very accessible in Nigeria. Many art openings are free of charge, and visitors can converse with the artists directly. 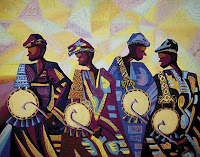 At venues like the Nike Centre for Art and Culture, Terra Kulture, and the Center for Contemporary Arts, all in Lagos, visitors can see and purchase truly inspiring pieces of artwork, many of which blend traditional African art forms with contemporary techniques. Nature: Outside of the imposing urban metropolis of Lagos, Nigeria has areas of stunning natural beauty. The lush, mountainous region of Cross River State is one example. At the Afi Mountain Drill Ranch, north of Calabar, visitors can see drill monkeys in their natural habitat and explore nearby waterfalls and a canopy walkway. Closer to Lagos, the Lekki Conservation Center features palm-lined boardwalks, a treehouse and a savannah trail. On a recent visit, one could see monkeys, butterflies, a monitor lizard and a crocodile, all within a half-hour drive from Lagos. With all of these possibilities, life for an expat in Nigeria need not be mundane. So go out, stay safe and discover a diverse country with many possibilities for learning and exploration. Nice piece. Except that you forgot to include the famous Yankari Game Reserve in Bauchi State where your embassy officials (including former Ambassador Sanders) had a fun-filled stay in 2008. If stories like this can earn slots in CNN and the likes I assure you the perception will change. Impressed! More of this in the future please. People outside Nigeria need to know the country is not as bad as is potrayed in world media. I love this piece- there are numerous possibilities in Nigeria, all you have to do is look out for them and have an open mind. Truly, the life for an expat in Nigeria need not be ordinary, exciting is what you make out of it-so make your Nigerian experience count! Best wishes . . .